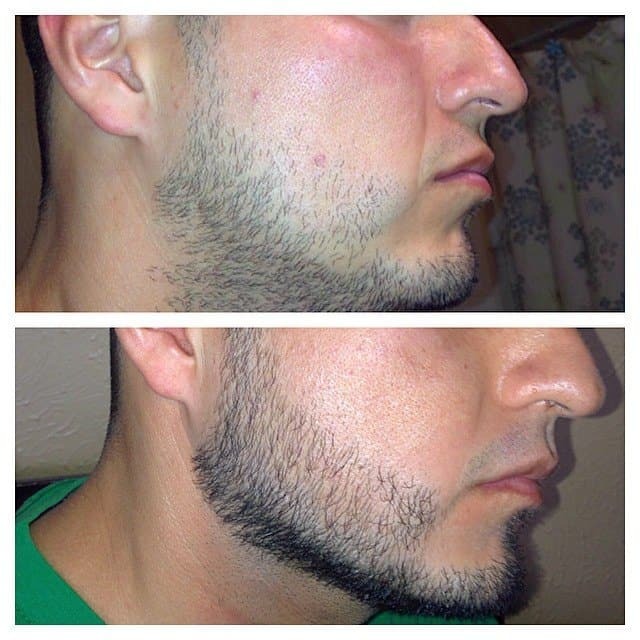 Beard genetics can play havoc with guys who simply want to grow a manly beard. Rough patches and uneven growth usually result in the beard trimmer coming out and the facial hair getting removed as a result. Of course, that’s not all that facial hair trimmer does. It also helps you remove stray hairs and making them look even and top-notch. One of the ways that many guys are combating genetics is utilizing the power behind Rogaine. This hair growth formula also goes by the technical name Minoxidil, which is the active ingredient in this hair growth product. Many guys have questions as to whether it works, how safe is it, and how fast can you see the results? Hopefully, the following information will shed some light on the power of Rogaine and what you can expect if you decide to get in the ring and fight genetics head-on. Take a quick look online for before-and-after images of guys who have tried Rogaine and you might be surprised. There are in fact many men who have seen quite impressive results after applying the medication to their faces. To take things a step further, it has been scientifically proven that in some instances, Rogaine can spur those follicles to start sprouting hairs. The key word here is it doesn’t work for everyone. 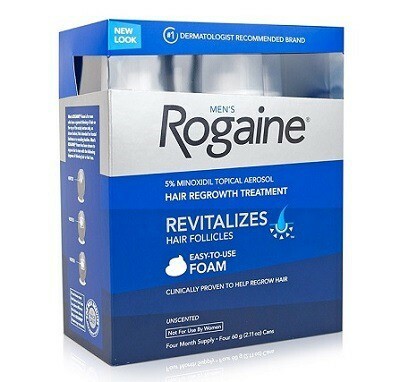 To perhaps persuade you even more to consider this option, the FDA has officially approved Rogaine for hair growth. Like any over-the-counter medication that you purchase, there is always going to be a slight risk involved. For most guys trying to grow a beard, however, this risk is certainly worth the reward. 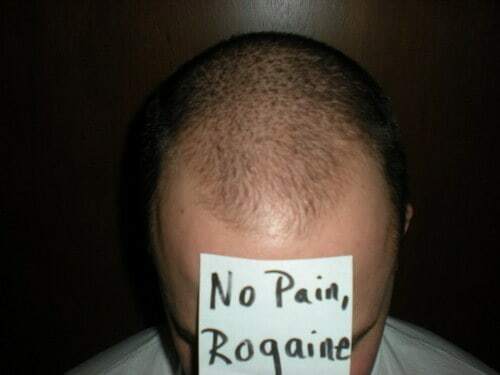 Some of the potential side effects to using Rogaine are weight gain, redness, itching and irritation of the skin. Common sense basically says here that if you experience severe redness and itching after an application, it might be time to try something else. Beard Growth and Thickening Set is a perfect alternative that doesn’t have side effects but does enhance your facial hair volume almost effortlessly. If all you do experience is itching, you can purchase a high-quality organic beard oil to combat the issue and let the product do what it was intended to do. The Rogaine is no more difficult to apply than a beard oil or conditioner. Basically, the only thing you really need here is patience. From all the research that has been gathered on success rates, the majority of men will see their hair sprouting from the skin after six months. Now we are not talking that peach fuzz you had when you were in high school, we are talking a full, thick, manly beard in about six months. Of course, once you get there you will have to take care of your facial mane. Start thinking about this now, for the extra confidence boost and motivation. Make sure to get yourself some quality soap to keep your beard clean and some quality wooden beard comb and brush to keep it neat and tidy the whole time. You’ve been waiting for that facial hair to start sprouting, so indulge it once you finally get there. If you have been struggling to grow a beard up until now, then six months will be a walk in the park. You can shorten the cycle by focusing on the type of the product you buy. 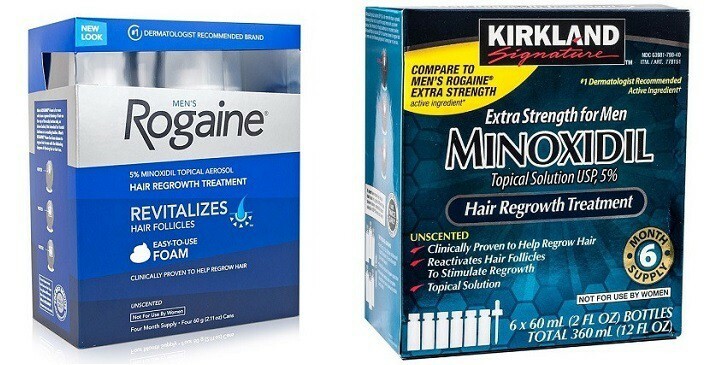 Buy with 5% Minoxidil because there is also Rogaine for women who has only 2%. Now, apply it in the morning and again at night to the face, then let the magic happen. Massaging it to the skin so the product gets to the roots is vital. Important notice is that you should wear gloves if you don’t want to have hairy fingers or fist. Do not get alarmed if you experience some hairs shedding after you use the Rogaine. This is normal, in fact, the shedding is the body preparing to grow future hairs. If you experience shedding, just know that deep down the process is working and you need to let everything run its course. This is a completely natural occurrence when you use the Rogaine for the first time. Basically look at it this way, when the hair begins shedding, the hair follicles are resetting themselves in preparation for that growth phase. If you made it this far and have experienced slight shedding and combated itching with a good beard oil, you should be able to pick up your man card in a few months and join the ranks of the manliest of men. Shape that facial mane you have with a little help of some quality beard shaping tool (we recommend transparent Beardoholic All-in-One Beard Shaper). It’s also a good idea to get yourself a grooming kit that has all the tools and products you need on your newly started beard journey. Photos from: www.drrobertjones.com and www.lessingflynn.com. I’ve seen great results with Rogaine. When I bought it I had very little expectation that this would actually work. I’ve always viewed it as a gimmick on late night TV but after using it for a couple months it’s grown back. Surprisingly works… It took a little over a month to start seeing results. Not to negate anyone’s ‘success’ with Minoxidil but often all that is needed for beard growth is just waiting for a reasonable amount of time. You are not going to get a full beard in a week. You need to give your beard at least three months. You failed to mention the MAJOR side effect of using Rogaine. This product ORIGINALLY started out as a hypertension treatment for those suffering from high blood pressure. It was taken by mouth twice daily. Those that were the first to actually use this reported that it grew hair EVERYWHERE…. yes, you heard me right….EVERYWHERE! It was then that they started using it to try and fight baldness with it. IF you decide to try this method the USER SHOULD FOLLOW THE INSTRUCTIONS to the letter. If this product is used incorrectly it can CAUSE A DANGEROUS DROP IN BLOOD PRESSURE. Nuff of that…. I have used Rogaine in the past to enhance my beard growth with VERY GOOD results and now have a great beard thick enough and long enough to get a second or third look from men and women alike! If this is something you want to try out then by all means do so, but please proceed with caution. Hello beard connoisseurs, I am on my first week of minoxidil and because I have done extensive research and no one has really experienced it. I’ve decided to mention a couple of personal side effects. I believe I have been experiencing a significant amount of weight gain, so you might want to work out while on the minox. Also, the increase in heartbeat is real. I was drinking coffee and experienced an out of body heart rate increase. Besides the weight gain and heart rate thing, im hoping to get over these pretty soon. I used Minox last year and saw great results. Question is, can I use it again this year? I stopped using it around August of 2016. It is now February 2017. I would like to fill in some patchy areas. I am 31 and have a very little patchy beard on chin while my father, brothers have thick beards, so no genetics involved. Now, advise me should I use minox for Fuller beard? How long it will take me to have a good facial hairs and manly look. Whenever you can, you should choose natural ways of growing beard. So I suggest you first improve your eating habits and start exercising daily. That will increase your testosterone level, which will encourage hair growth. 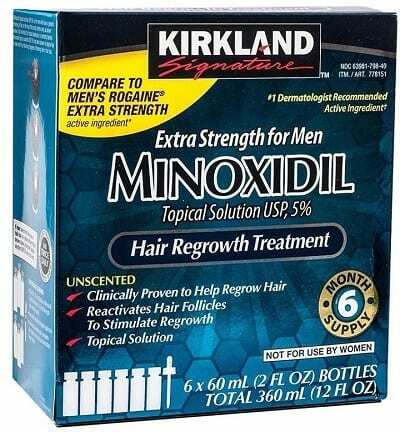 Minoxidil should be your last resort if nothing else works. And it’s important to know that it doesn’t work for everyone. If you still insist on using it, then you should know that it takes between 6 to 9 months to see the noticeable results.